I am not a fancy chef. I am working on it, but we are not the healthiest eaters. I can pretty much guarantee you won't get any award winning recipes here or be dying to duplicate my weekly menu BUT I've found that posting my menu on the good ol' bloggity blog keeps me on track so here goes. I'm a day late posting so I'm not off to a great start for 2014 but the grocery shopping is done and we stuck to the plan last night so here's to happy meal planning in 2014! 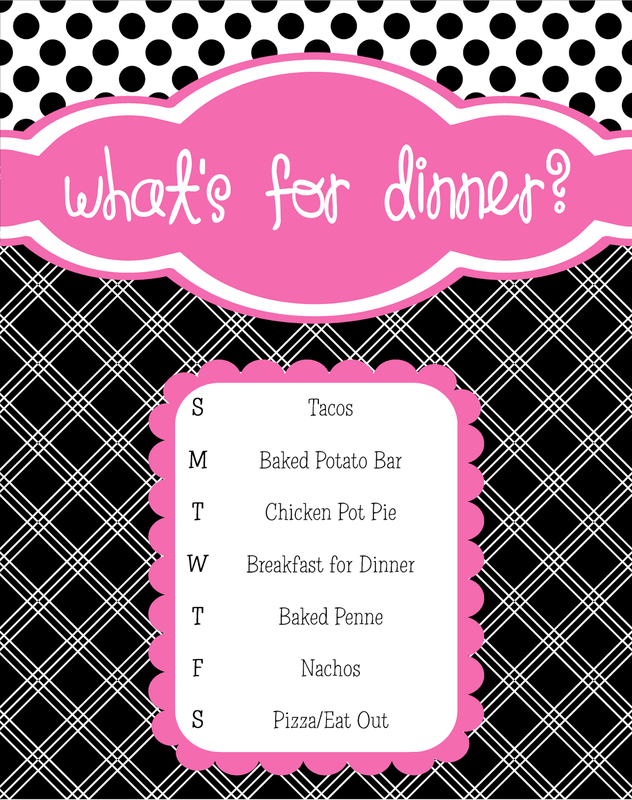 I use my PaperDoll Dry Erase Memo Board that is similar to the one shown above to post our weekly menu. You can get one here.